And if you're looking for an original Ibanez TS9 Tube Screamer guitar distortion/overdrive effects pedal, nothing can compete with this reissue. This TS9 Tube Screamer is an exact reissue of the original - we're talking the exact same components, the exact same housing, the exact same seasick-green paint... heck, they're even made in the exact same factory as the original TS9 Tube Screamers. Plug in, stomp down, crank it up, and let loose. 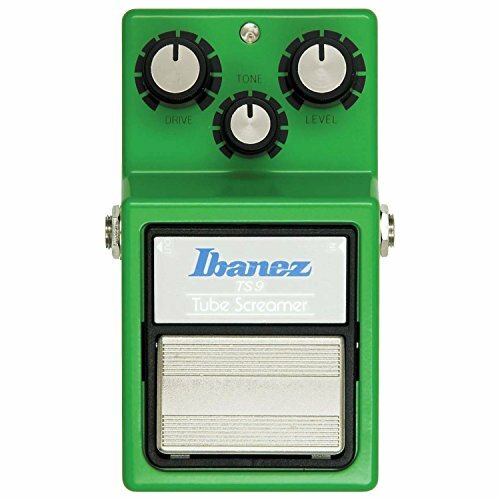 Once you've heard the reissue Ibanez TS9 Tube Screamer, you'll know what distortion's supposed to sound like!